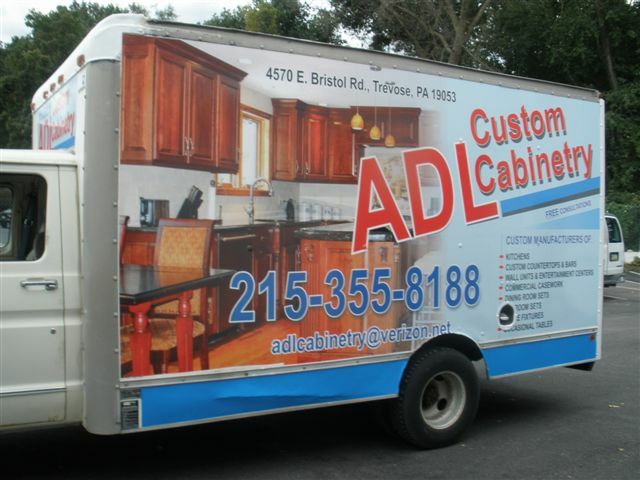 We provide custom truck, van, and trailer lettering services for all Philadelphia area businesses. Using either computer cut vinyl letters or a large format digital printer, we’re able to produce any text or graphics you need for your vehicle. 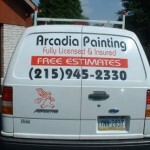 Consider lettering your vehicle a first step in promoting your business. Each time your vehicle is on the road, your business will be seen by a multitude of people. 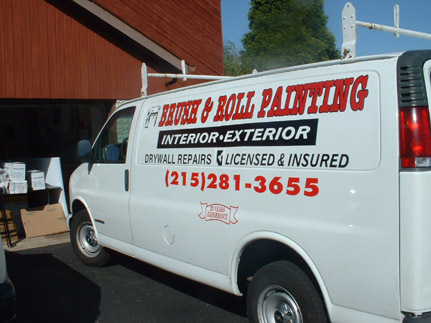 Unlike a car wrap which covers your entire vehicle, truck lettering mainly involves taking a section of your vehicle and adding some text such as your business name, website, or phone number. We can also create and apply graphic decals to your vehicle or vehicle fleet showcasing your business name or logo. These decals are created on special vinyl which is applied to the body of your vehicle. If the need should arise in the future, the decals can be easily removed without damage to the surface of your car or truck. 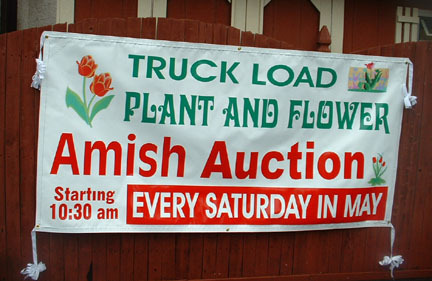 Another low-cost option for lettering your vehicle is the use of magnetic vinyl signs. 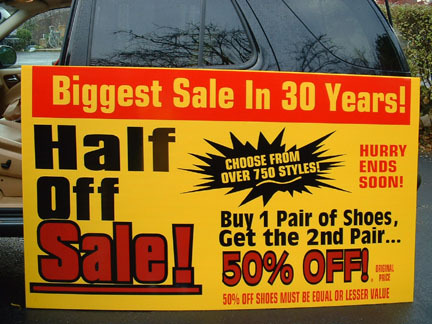 Magnetic vinyl signs are a great and portable solution for advertising. Please visit our truck lettering gallery which showcases our previous jobs.